In this topic, we are going to learn about the best Job candidate. Several corporate recruiters, as well as hiring managers, are not sure regarding the ways that should be used for assessing a veteran job candidate. It is significant that with all the job candidate and not only the veterans that first it should be determined whether the person has the willingness to work, is ready and will be able to do the assigned task in the required way. Besides this, it is also vital to determine whether the job candidate will fit well into the culture of the organization. The veterans, particularly the military veterans, are not an exception in this regard. However, a few tips, as well as tactics, can be applied which can provide assistance in evaluating a veteran candidate for the position. We can describe the hiring version of the veterans in terms of three A’s which are Achievement, Attitude, and Ambition. As the military is supposed to be not only a very large but also a bureaucratic organization most of the times, most of the aspects related to rank promotion happen to be a function of the guidelines pertaining to “time in grade”. In certain services for instance in the Navy, the person s who are eligible as well as enlisted can show their initiative by studying for the examinations and then qualifying these examinations in order to get a promotion. For assessing a veteran job candidate, you need to begin with best job candidate questions like “Tell me about your promotion history in the service. Were you promoted on track or ahead of your peers?” You need to listen for responses that might consist of phrases like “sat for the examination,” or “meritorious promotion,” and so on. Promotions for commissioned officers have a tendency of being ore time-based. However, one may put forward the job candidate questions such as “What did your official evaluation reports say regarding your performance?” every service might be having a distinct name for all the reports but they all have them. You may request another veteran to assist you in interpreting. You may carry out online research with the purpose of gaining more knowledge. You may directly ask the applicant. Majority of the veterans will be very honest regarding the relative significance of some of the awards and will share the true meanings of such awards very honest with you. However, you should be careful not to hold the absence of some of the recognition as a fact that will go against the veterans. For instance, a sergeant on the staff of a General has more probability of having earned formal awards in comparison to a squad leader of the front line. You need to try and understand the context which led to the granting of the recognition to the veteran. Selection in the military schools, as well as completion of the military course in themselves, are more impressive compared to any awards or decorations as most of the military schools feature selection and completion criteria that are very rigorous. Most of the hiring managers are completely aware of the fact that the service academies are colleges that are very selective but many are not aware that only about half of those who are selected are able to successfully complete the training course. In the same manner other schools of the Army, Navy and Air Force in a routine manner screen out many of the participants who had begun the course with them after being selected. You can ask the veteran colleagues or inquire for the best job candidate himself or carry out online research regarding the courses that have been completed by the candidate in a successful manner. Even when on duty some of the veterans may take out time for completing certain civilian degrees, certifications, as well as community service and some of them, might even moonlight in their jobs. People who are taking the decision for hiring veterans should gain a favorable impression from such types of achievements. On the contrary, you should be criticizing those who do not possess such degrees and certifications. The schedules pertaining to training as well as deployment and the very nature of the military life make such kinds of activities difficult for those veterans who work in units and roles that are extremely challenging. An interviewer who is skilled will make efforts to have an understanding of the other achievements along with the socialization which might have been experienced by the candidates either prior to or after their military service. It might be possible that a veteran belongs to a family having salespeople or may be helped with a retail store of the family or would have worked in an industry of a similar kind after leaving the service. You should never assume that the veteran only possesses experience in the military. You might have to take out this information from the veteran candidate during the course of an interview and there are chances that you will be surprised pleasantly at your discovery. An area where most of the veterans can be seen to shine is an attitude. Most of the veterans possess the best job candidate qualities of mission orientation, leadership, and teamwork. However, it is necessary for the skilled interviewer to probe this out. You need to learn to make a differentiation between confidence as well as hubris, self-effacement, gratefulness as well as entitlement. Even though the process of an interview for the veteran candidates needs to be the same as for any other best job candidate, it is essential that you should be sensitive to the context by means of which several of the service members experience the job market of the civilians. Right from the time of enlistment, doses of conflicting messages are served to that military personnel. At times, they might be told to expect “to be embraced by a grateful nation” that has the eagerness of bestowing jobs that are high paying to any of the veterans. At other times, they might be told that unemployment of the veterans is chronic as well as overwhelming for also the strongest among their peers. However, the reality lies somewhere in between the two ends and it is up to the skilled interviewer to carry out an interpretation of the conversations they have with the veterans accordingly. However, prior to the process of job candidate assessment, it is essential that the veteran candidates are sourced from the organizations. Majority of the veterans have aspirations to continue with the development of their skills of leadership and usually, they will talk about “making a difference” as well as “getting a seat at the head table.” You should not be concerned that such a candidate is very aggressive. No doubt, fitting into the culture is a critical aspect but you need to remember that most of the veterans every advancement as mainly a function of the exercise of leadership. They might not be in a position to have an understanding that salesmanship, administrative competence or operational efficiency are valued equally in the realm of the civilians. You need to be compassionate and patient but also have to carefully listen for the motivating ambitions of the best job candidate and the extent to which it matches with the culture and needs of your organization. Even though it is a starting place, identification of your organization as “Veteran Friendly” need not be a mark of the extent of your recruiting strategy for veterans in case you are looking for significant outcomes. Companies need to go beyond such labels and then come out with a statement which is backed by action and which resonates best with the veterans and turns out to be a true commitment. The organization needs to think locally as well as for the long term. It needs to take part in the veteran events in the community or host its own veteran event. There is a number of ways that an organization can make use of, with the purpose of targeting veterans. The growing social network along with the correct communities online can be utilized for getting information regarding the military veterans whom the organization can target for hiring. An instance of the way veteran hiring can go through a break down in the process of sourcing as well as hiring is the struggle for translating the skills of the military to the occupational vocabulary of a civilian. The organizations can tailor their career site for candidates who are veterans by integration of an “AT&T MOS Translator Search bar” inside the site which helps in translating the “Military Occupational Code” into a language which the civilian working world will be able to understand. Besides this, there are several other methods through which the companies can bring about improvements in their process of hiring veteran candidates. The veteran program can also be integrated or created into the referral program of your organization. You need to reach out to the current employees who are the military veterans for the purpose of referrals as they might already be engaged in the local communities as well as groups in which you are hoping to engage. You can also decide to designate a “Veteran Officer” for the organization so that the parties which are interested can contact you with job candidate questions regarding your Veteran Hiring Program and for serving as a liaison for both prospective as well as onboard employees. Veterans are a true representation of the finest talent any country can offer. All types of organizations thrive when the initiatives of veteran hiring are included in the best of the human resource strategies of their organizations. 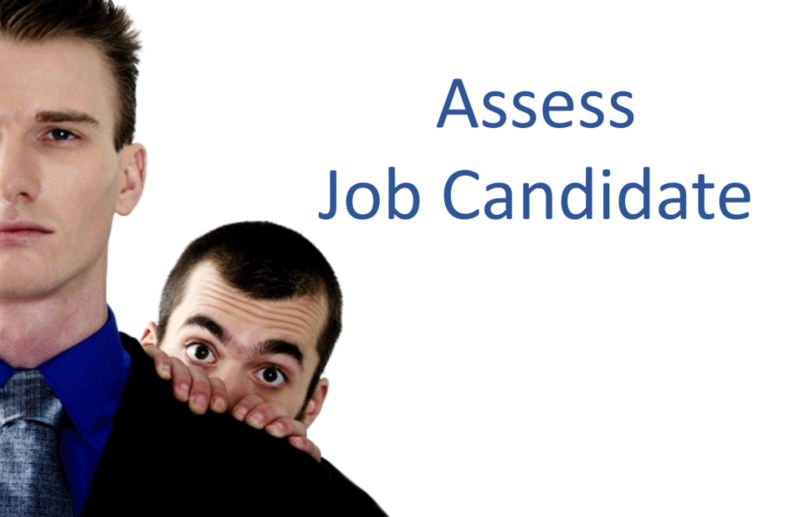 You should not be intimidated by the prospect of having job candidate questions to veterans. All you need to do is to follow the three A’s which will take you a step closer to the identification and the attraction of veteran talent of high quality which is definitely what is needed by your team. This has been a guide to assess the qualities of the best job candidate in terms of three A’s which are Achievement, Attitude, and Ambition. These are the following external link related to the best job candidate.